On September 5, 2017, Fairmont Heights High School opened the doors of a brand-new building to usher in the 2017-2018 school year. 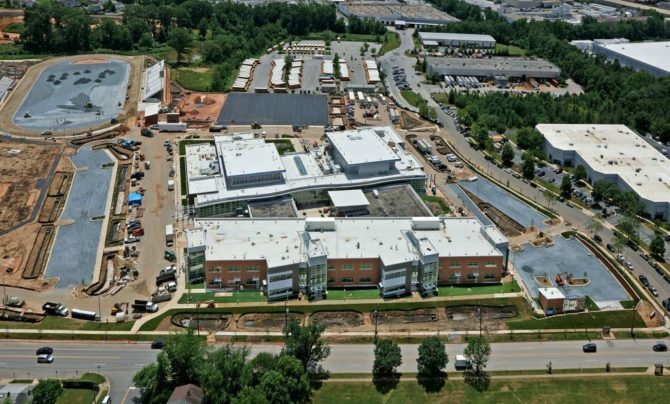 With LEED gold certification, meticulously planned space, and expansive new facilities, this new high school will serve the students and the community for years to come. 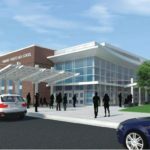 The new school replaces the original Fairmont Heights building opened in 1950, the first high school in the county to provide education for African Americans using public funds. Allen & Shariff provided mechanical and electrical design for the project. Under the leadership of general contractor Grunley Construction Co. Inc., Allen & Shariff worked with architect Grimm & Parker, civil engineer Adtek, and structural engineer Restl. With the need to coordinate successfully with several parties, Allen & Shariff applied a disciplined approach to their part of the design, conducting multiple onsite team meetings to sync with partners and overcome obstacles collaboratively. The result is a 220,000 square foot, state-of-the-art facility. 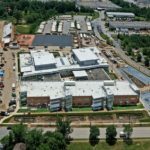 With a living roof and geothermal HVAC system, it uses 29% less than the baseline energy for its building type. The school has capacity for 950 students and boasts a turf stadium field with full sports lighting. Unique spaces within the building house school classrooms and offices, a wellness center, special education facilities, and English Speakers of Other Languages (ESOL) program rooms. All of the project partners helped to bring the rich tradition of learning at Fairmont Heights into this new space. With the old school being named to the historic trust, it will remain a symbol of African American education and identity within the community. 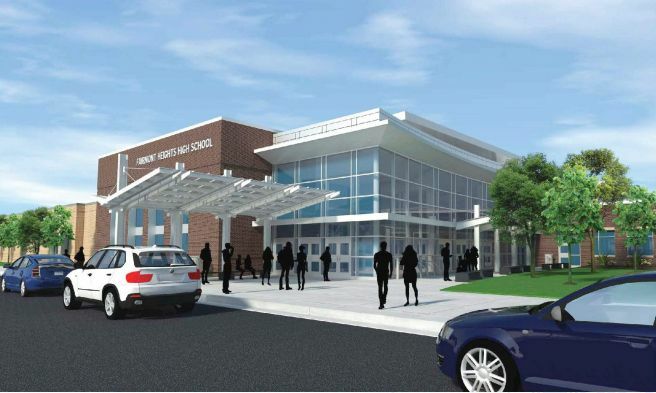 Combining this legacy with the cutting-edge functionality of the new building, Fairmont Heights is poised for even greater success as it looks to the future. Check out more of Allen & Shariff’s education portfolio at http://www.allenshariff.com/our-projects/k-12-higher-education-projects/.